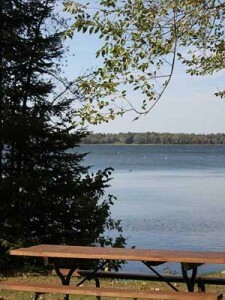 Enjoy your Minnesota family vacation! 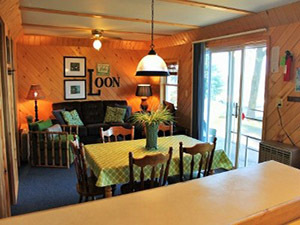 Comfortable, clean and modern Northwoods “Cabin 8” at Loon’s Nest Resort in Park Rapids is the perfect place to spend your Minnesota family vacation. Your family will enjoy this two-bedroom, one-bath cabin on the lake. 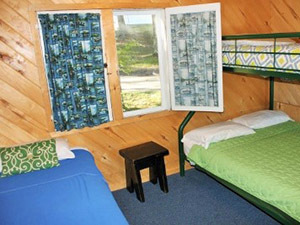 This housekeeping cabin provides a fully-equipped kitchen with fridge, microwave, cooking utensils, coffee maker and toaster. 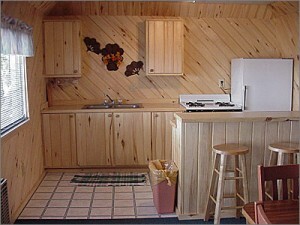 Along with cable TV, this cabin includes a breakfast bar, one queen, one double bed, and two twins. The bathroom includes both a tub and shower.